Wallpaper is no longer a gaudy decor feature stuck in the past: with new designs, applications, and material technologies, wallpaper is making a stylish, statement-making comeback. 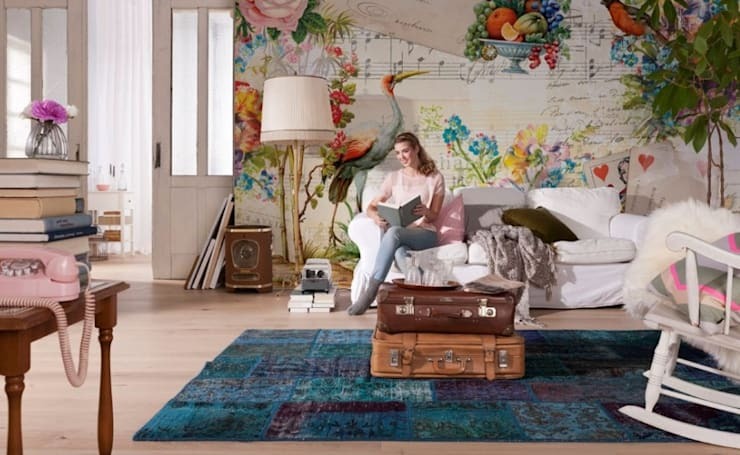 However, you can forget the cute paisleys and pretty patterns of the 20th century, as the modern wallpaper designs you’re about to see offer high-impact imagery, interesting optical illusions, and bold, colourful personalities that can make or break a room. If you thought that wallpaper couldn’t be surprising or adventurous, think again – just see what these talented designers have come up with! In a firm denial of tiny, lacy patterns, this wallpaper offers a refreshingly large, cartoonish image that brings a happy, uplifting sensation along with it. 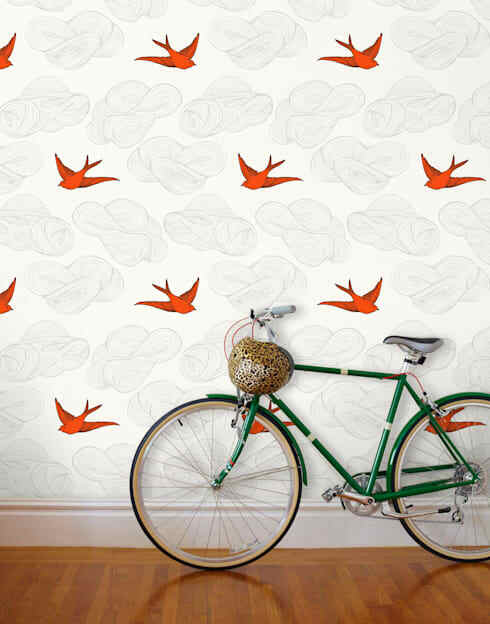 Birds in a deep orange hue fly around the white space of the wall, creating a simplified scene that allows you to gain a sense of expansion as your eye travels from bird to bird. Not too busy – but not too tame, either! – this wallpaper is ideal for anyone who often finds themselves with their head in the clouds. 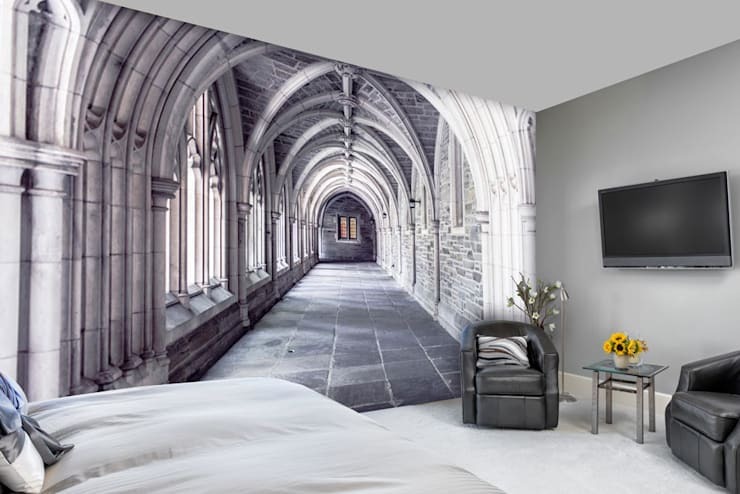 Add “space” to your room with a high-res photo wallpaper – this optical illusion is ever so much more engaging than a plain white wall! 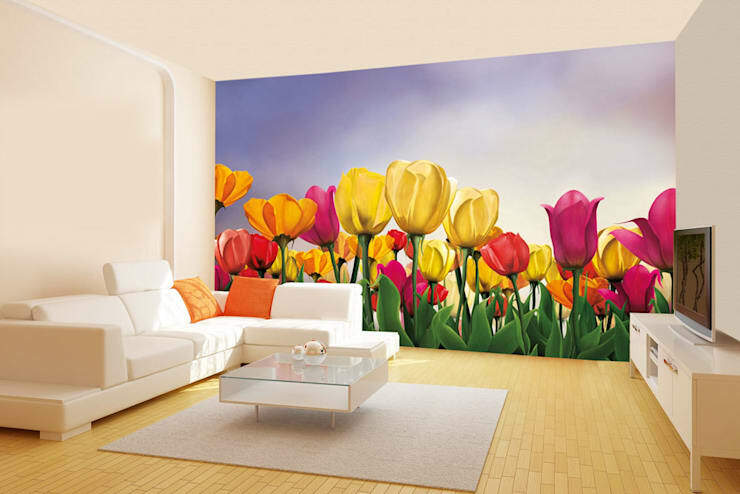 An enlarged image of colourful tulips makes a play on scale in this living room setup, the surprisingly large size of the blooms exercising an Alice in Wonderland-type effect on the rest of the room. 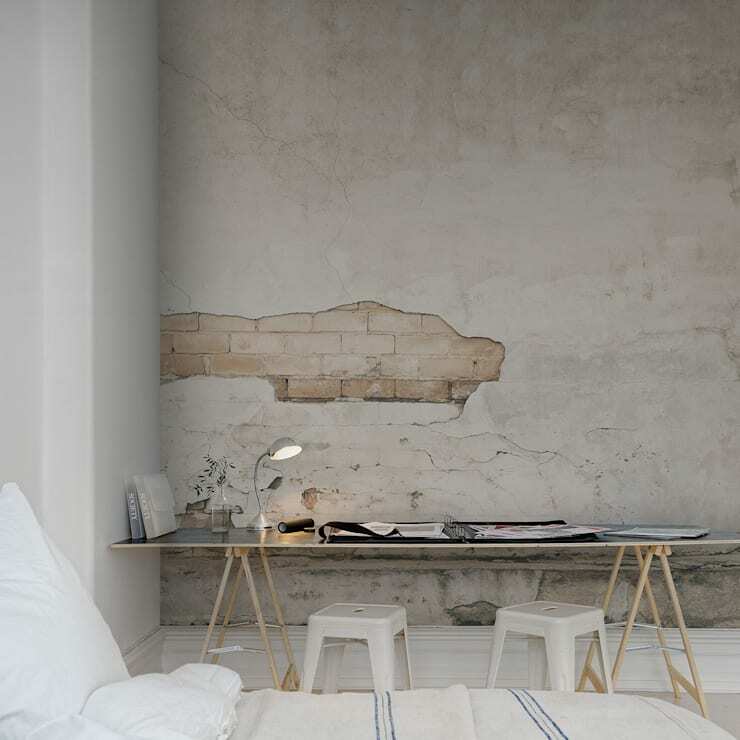 This quiet little study takes on an edgy, industrial appearance with the application of this wallpaper, designed to emulate the look of a crumbling wall. The wallpaper’s imagery of exposed brick, worn-out rough spots, and little cracks give the modern room a little dose of history, without any of the negative side effects like bad plumbing and drafty window frames. For vintage lovers who simply can’t make up their minds, this wallpaper offers a wealth of colourful vintage-inspired imagery, from old fashioned centerpieces to faded musical notes to enlarged versions of the wallpaper-y floral designs that once decorated many a downtown apartments’ walls. The furniture is kept refreshingly simple and understated in this living room scene, allowing visual power of the photo wallpaper to exercise its full effect. 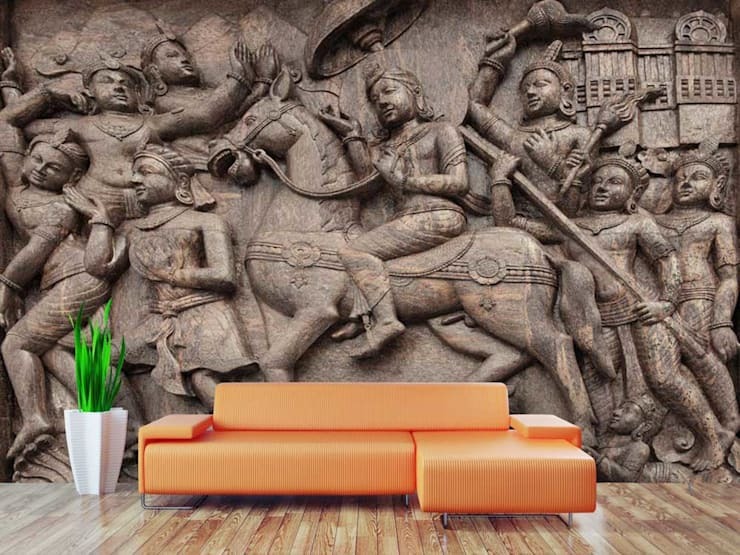 The sheer size of this wallpaper image creates an atmosphere of intensity as horsemen and warriors tower over the room. These ancient stone statues bring elegant and powerful imagery to the room, with a surprisingly convincing notion of depth imbued in the shadows and highlights of the carving. Once reserved for upper class families, hand-painted wallpaper has been all but lost to history. 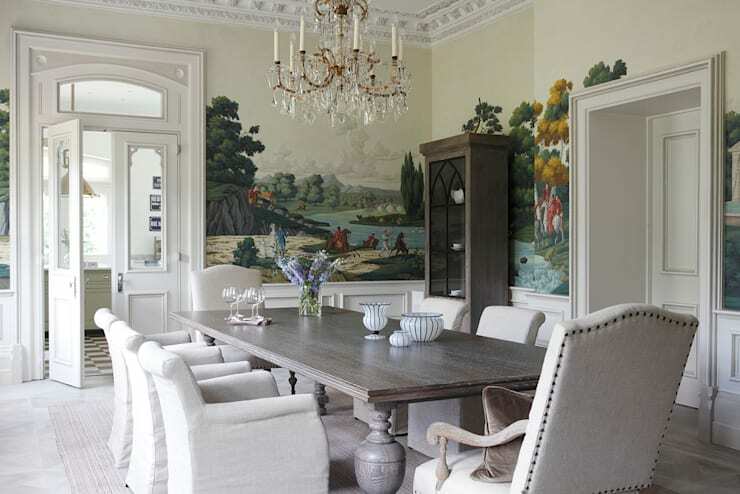 The hand-painted revival in this classic dining room is highly fitting for the historical origins of the building, bringing a custom-painted panorama of knights and horses on hilly countryside to the ever-so-charming and decadent dining room display. 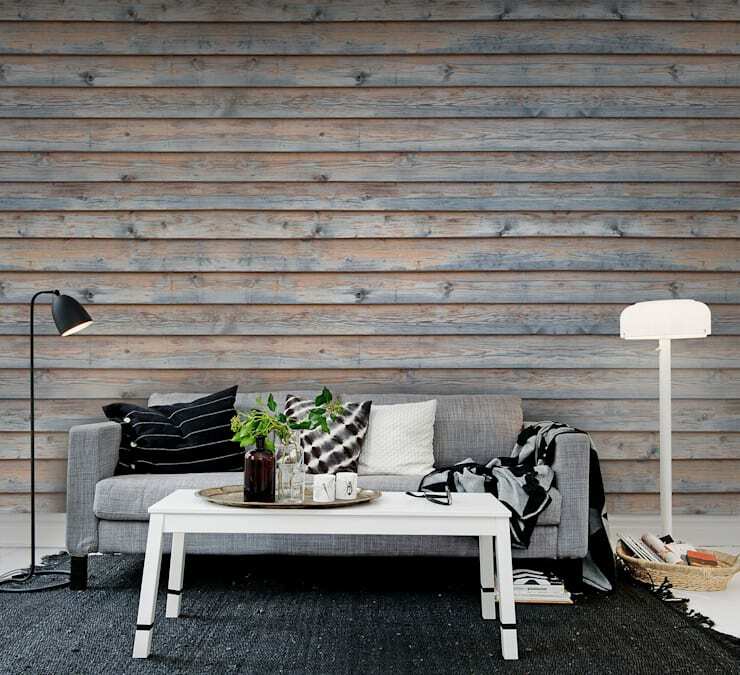 Wallpaper, designed to look like planks of wood: ideal for those who love the organic, rustic imagery of wood but who are unable to include it in their decor plans. No nails, hammer, or carpentry skills required. Talk about context! This Victorian street map shows a bird’s eye view of the River Thames in London as it was in Victorian times. Paired with the elegant antique furniture found in this room, this wallpaper provides a strong visual context that communicates the time, place, and style era that this room is going for. 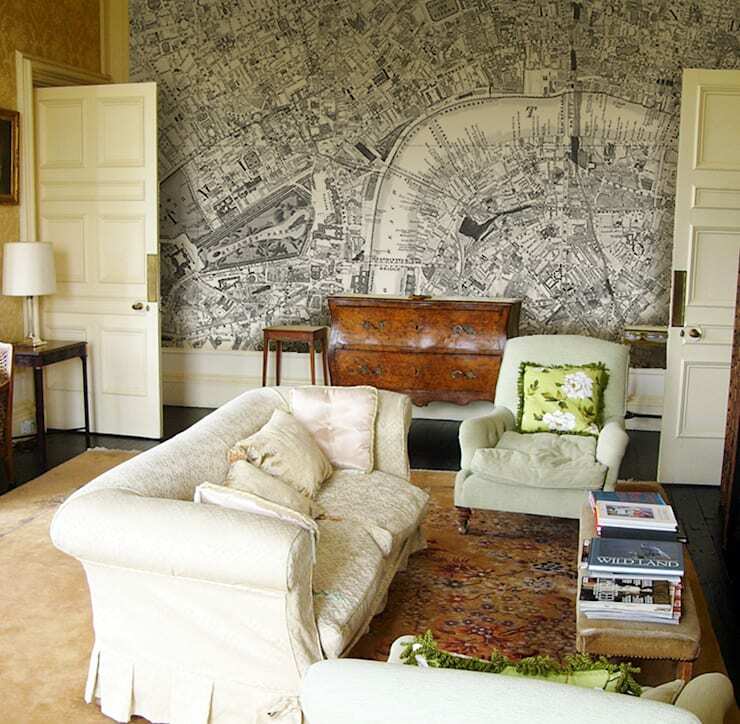 Share your thoughts on these unique wallpaper ideas below!